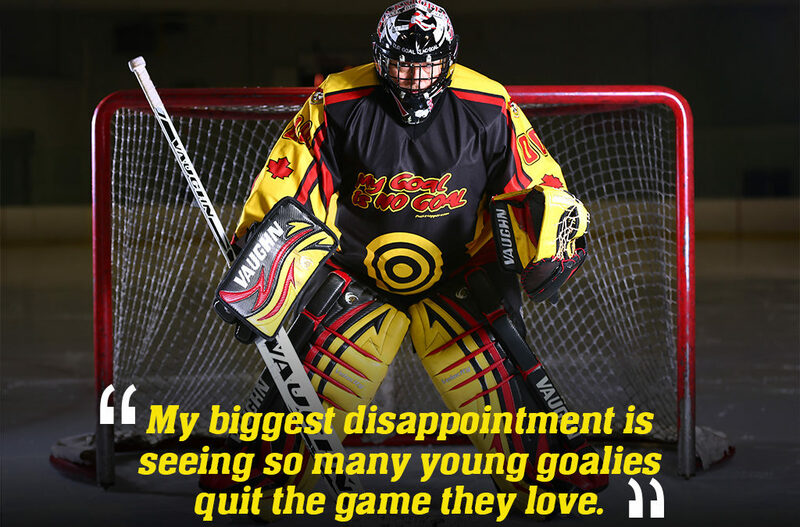 Self Esteem & Well Being of Young Goaltenders Often Ignored. Why is This Acceptable? We have all met that person who is seemingly lucky at everything, always in the right place, gets all the breaks, and has everything fall into place every time. You probably just conjured up the thought of such a person. Over the years I have studied many such people and discovered that “luck” has very little, if anything, to do with the success of these people. In almost every instance from hockey, to business, to relationships, when it appeared that “luck” played a part (either good or bad), I found that the real catalyst for success and failure was mindset. If your mindset is one of negativity and failure, your luck is certain to be “bad.” We all know that when one thing goes wrong, there is often more “bad luck” to follow. The reality is that, in many instances, you create these bouts of “bad luck” through a negative mindset, precipitated by the initial incident or thought. We often see this in sports when a player struggles a little, then finds him or herself in a full blown “slump.” Sometimes, these situations are career ending, when, in reality, the only thing that may have changed from success to slump was the mindset of the athlete. 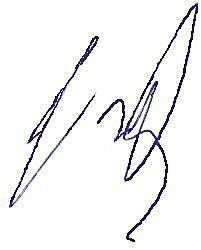 One such player that comes to mind is a young goaltending student I have worked with for about six years. Kwinten came to me as an 11-year-old who had just taken up goaltending after joining his new family, who were – and continue to be – an incredible support system for him. Kwinten was determined to improve, and he had developed the right mindset around sports. He worked very hard, and, over the next few years, quickly moved from house league to higher levels of competition. At 15, his father, in trying to do the best for his son, found an opportunity for him to play at the Junior level. The league was comprised of 16- to 21-year-old players, with a few, like Kwinten, as young as 15. While the opportunity to play Junior at 15 sounds enticing, there are certainly many ramifications that parents need to ponder before entering such an arrangement. I would strongly encourage any parent to be mindful of Kwinten’s story before committing to having your child take such a step. A 15-year-old with an older crowd can pose some serious issue, in any situation. Kwinten was young, very impressionable, and particularly vulnerable because of the upbringing he experienced before joining his new family and finding hockey. He was one of five goalies on the team, which is, in itself, a problematic situation. This meant that he rarely got to play games (he played three that season, and won them all). To be part of a team, you have to play, so that you can feel like you are contributing to the team. Playing is the reward for hard work, and if you are never able to experience the reward, motivation suffers, and a determined player with a positive mindset can quickly become angry, disengaged, and negative. Many parents do not understand this component of sports. I often see parents pushing their kids toward “competitive” teams because they only see the perceived status or opportunity that comes from saying their child plays at the AAA level (or whatever the “status” level is in your region). Don’t get me wrong; I’m all for higher levels and striving to play at them. However, if the parent is the one pushing the child because of his or her own ego, and the child does not get to play because he or she is a fringe player, lacks a strong competitive mindset, or is caught in a numbers game, the child’s motivation and mindset — which might have flourished at a more appropriate level — will suffer. Being the youngest on a team of young men, the players had no respect for Kwinten’s physical well-being, pounding him with shots that offered no development opportunity whatsoever. He became a target in practice and subsequently lost all motivation to work hard. He became uninterested because the reward of playing, and the feeling that he played a role on the team, was no longer there. As his mindset deteriorated, he became more alienated from the true “team.” He started to gravitate toward the wrong group, tagging along with the older players, and abusing drugs and alcohol, so he could, in his mind, remain relevant to the other players. As the later part of the season approached, he stopped coming to practices and had given up on not only hockey, but on himself. “Bad luck,” brought about by poor mindset culminated in several life-altering bad decisions. It took Kwinten two years to get himself back on track and to realize that he needed both fun and a sense of accomplishment to stay motivated. With this realization, he began the 2017 season with five shutouts in six games and enjoyed a full season of success, brought about by the right mindset and motivation to play. His negative mindset had caused him to make poor decisions and quit the game, but his revitalized, positive outlook had created a new energy that fuelled his success. My mother was an incredibly selfless woman who raised me to believe in myself, never allowing circumstances to dictate my happiness or my direction in life. She was adamant that I go after what I wanted, despite the odds against my being able to achieve these goals. She taught me to persevere, stay focused, and hold the mindset that I could achieve anything. That mindset she created in me, has served me well and allowed me to view every situation as something I could learn or garner strength from and to see opportunity where others only see defeat. I have never allowed myself to ask “why me?” or to feel sorry for myself. In fact, the opposite is true. My wife and I have raised three great children with this philosophy, and we are very proud of their achievements and the choices they have made. When coaching minor hockey, I have done my best to pass these sentiments on and help kids to believe in themselves, strive for what they want, and work hard without any hint of entitlement. I have been very successful because of this approach. I was never the most knowledgeable coach – nor was particularly innovative in terms of the skills I stressed or the tactics I employed. Nevertheless, my teams won many championships, and the players I worked with often advanced to higher levels. These young men and women enjoyed playing for me because they learned to believe in themselves and developed a positive mindset; moreover, I made sure that we had FUN. This approach has worked with every skill level, age, and sport. In any sports arena, you often see coaches yelling at kids to try harder or “get it right.” This only makes the task more difficult; as frustration sets in, the child becomes embarrassed or angry. Once this happens, they begin to shy away from doing anything outside their comfort zone. This approach doesn’t work! It makes it harder to learn and progress. Coaches should be encouraging their players to push past their comfort boundaries and to make mistakes in an effort become better. Children should be given permission to fail – in fact, they should be encouraged to do so. Failure is an important part of development. This shift in thinking makes a world of difference, as players develop much faster, with a determined attitude. As I grew as a coach, I took the time to explore human nature, psychology, and how to better reach the minds of the players I coached. The goal is always to better the individual, while conveying positive life skills. I began putting together seminars for minor sports coaches. I discussed how I was able to reach my players and create a positive mindset, which, in turn, allowed them to experience greater success and enjoyment of the sport – and life in general. I used examples from my own life and described how I was able to achieve a number of incredible things that others with more experience and better knowledge were unable to attain. I was aware of the mindset I had created for myself, and I was teaching others to actively strive for this, but I hadn’t yet connected all the dots. However, I remained hungry to learn, to improve my own skills, and to raise myself so I was better able to serve others. While writing the #1 Bestselling book: Target Practice – 8 Mistakes That Ruin a Love of the Game, I was introduced to strategies and practices that facilitate positive mindset through simple exercises that expedite the process. These are easily implemented into anyone’s daily routine, and, perhaps more importantly, solidified and clarified what I already knew. I was thus inspired to gain more knowledge in this area. Prior to speaking at a business conference, I was putting together a short six-slide presentation about my personal history, including both sports and business successes. Suddenly it all made sense. It’s incredible how your mind can crystallize things when you only have six slides and 10 minutes to tell your life story. It had not only been the perseverance and dedication to my goals that had carried me this far – it was the mindset instilled by my mother that actually gave me the confidence to go after what I wanted, even when I didn’t understand how I could accomplish something, I believed in myself, and I refused to let failure or a lack of knowledge get in my way . This mindset created success. It was at that moment that I fully understood what I already knew, but wasn’t fully aware of, even though I had inadvertently been teaching it all along: the right mindset can create almost anything. I realized that all those “lucky” people I knew had created their opportunities in life through hard work and a positive mindset. The universe vibrates differently for those who have the right mindset. A positive mindset opens doors, and incredible things happen when you believe your own thoughts. Hard work is certainly a component of success, but without the right mindset, it is unlikely that you will EVER achieve the success you desire. I finally understood that my mother had taught me not to accept failure as anything more than a learning experience or a stepping stone to success, and that the more and faster I failed, the quicker the success would come. But, above all, I needed to believe I could achieve what I wanted. This is the mindset of so-called “lucky” people. This is the mindset of those who achieve more than is expected of them. This is the mindset of those who are successful. This is the mindset of winners. This translates very well into the world of goaltending, where mindset is often the only difference between failure and success. I have recently seen some incredible examples of amazing accomplishments emerging from seemingly impossible situations. Several years ago, Sebastien Mallette came to my Bantam team from a rival organization. We had played against him several times in previous seasons, and he had proven to be an adequate goaltender, with more potential than he generally demonstrated. His level of play improved dramatically while with our team because of his coachability, commitment, and work ethic. Of course, he was “lucky” to have come to our team, where he got the opportunity to develop and work on his game. We spent many hours working to develop technique and refine his skills. Seb went on to win two championships with us and then played a little Junior hockey before moving away for school and getting married at a young age. Amazingly, nearly six years later, in the spring of 2017, he contacted me and said he’d come back to town with a desire to play pro hockey in the near future. 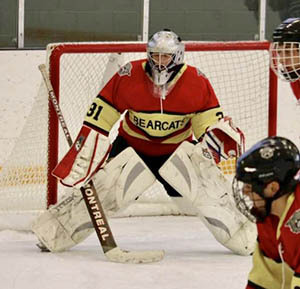 He was also looking to play for his university in the coming season – as the starting goalie. He hadn’t even skated in four years. The likelihood of a goaltender walking onto a university team after four years of inactivity is almost non-existent. I would, in fact, have said it was impossible, but because of his mindset and commitment, I knew that anything was possible. We did weekly private sessions at my goalie training centre, regular on-ice sessions, live game play, and video review. He was clearly committed and showing great improvement, but the odds were still ridiculously stacked against him. However, he had the right mindset! He believed in himself. Sebastien not only made his ACHA university team as the starting goalie, but he led the league in almost every statistical category. As I write this, he now has an agent and is entertaining offers to play professional hockey in Europe next year. This is an incredible story of a goaltender who took four years away from the game, came back with the right attitude, and is now looking at a pro career because of his unwavering positive mindset. Spencer was a 16-year-old young man who loved hockey and being a goaltender. He was caught in bad a situation, as his coaches on his team did not understand how to create a positive mindset for everyone on the team. One of the core responsibilities of a coach is to create a safe place for everyone on the team and to make sure there is no dissent. Spencer was maligned by teammates and made to feel like an outcast on his own team, despite playing regularly and enjoying steady success. This is a classic case of mindset being torn down by others. In the previous examples I discussed a goaltender Kwinten who was put in a bad situation and subsequently made life-altering bad decisions. While his mindset was a product of his surroundings, this doesn’t change the fact that he, in the end, was the only one responsible for his decisions. Sebastien’s mindset was always positive and never wavered; he is one of those “lucky” people we all know. He came in with a goal and didn’t question if he could achieve it; he simply did the work with his eye on the prize. Spencer’s mindset was created initially by external sources, and while, ultimately, the onus falls on him for letting a bad situation affect his mindset, we all know how difficult it can be to be continually beaten down and subjected to negative comments. This situation is disturbingly common in minor sports. Coaches frequently fail to recognize their role in developing their players and don’t understand how seemingly simple words can have a profound effect on someone’s mental state. Spencer attended one of our camps in the summer of 2017, and we had several discussions about his approach and reactions to the previous season’s situation. I helped him to understand how a positive mindset could be re-created, and that he had to get past this issue. The rest of his life depended on his mindset. The next time someone tells you that “it’s just kids playing a game,” remember the incredible difference a coach can make by fostering a positive mindset and developing the person – not just the skills. The right mindset will take you to incredible new heights and open doors that seemed impenetrable. If you can only choose to develop one component of your success, it must be to develop a positive and unwavering mindset of belief in yourself.